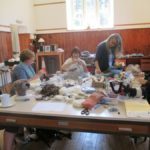 We just finished our Fleece to Needle Felt week, which was a great success, we had a fantastic group from all over, Canada, USA, England and Scotland. There was certainly a lot of laughter through-out the week. Some of the group were complete beginners, while others had more experience, but they were all keen to learn from Fi and also to have a go at washing and naturally dyeing the fleece for their final project. We started off shearing Lavender, our bottle fed lamb from last year (Shetland) and a couple of the group had a go. Once we had sorted her fleece we washed it outside ready to be dried and dyed. We spent a couple of days picking plants and making dyes, dyeing white, grey and brown fleece, from Shetlands, Cheviots, and Gotland sheep. We made a beautiful array of colours. Mid week we visited Glen Affric and enjoyed an cup of tea and a lovely picnic by the river..in the sunshine! We also had a few visitors along the way including, Alison, who came one evening to run a spinning demo, so everyone could have a little go. Ele also visited us to talk about some of the old Waulking songs woman used to sing when working the tweed in the Highlands. She sang and taught the group some of the choruses, it sounded so lovely hearing the traditional rhythms of these working songs. On Wednesday evening Fi Oberon joined us, ready to start her needle felting workshop on Thursday morning, the last two days were spent creating allsorts of wonderful creatures, including a stunning otter, a mythical beast, a terriers head, an octopus and of course a sheep! Everyone used the fleece we had washed and dyed, creating unique pieces which told quite a story! 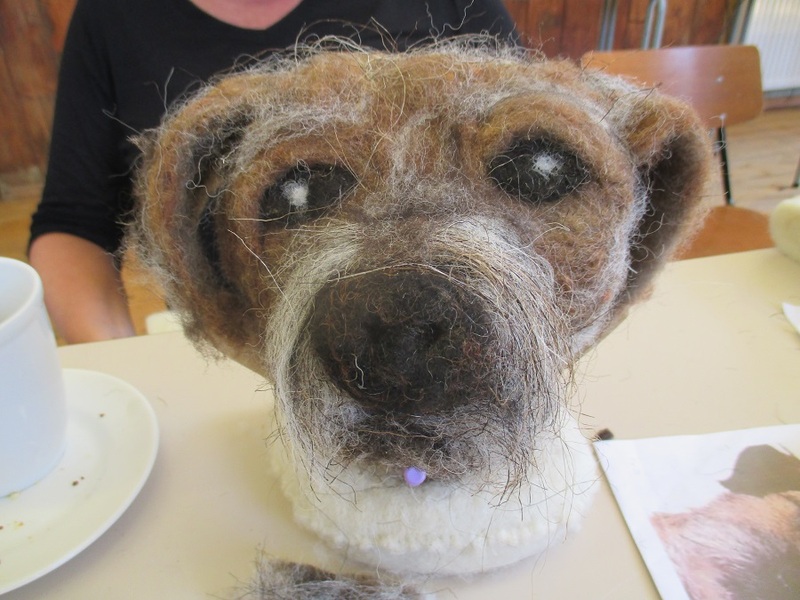 Debbie’s Border Terriers head. 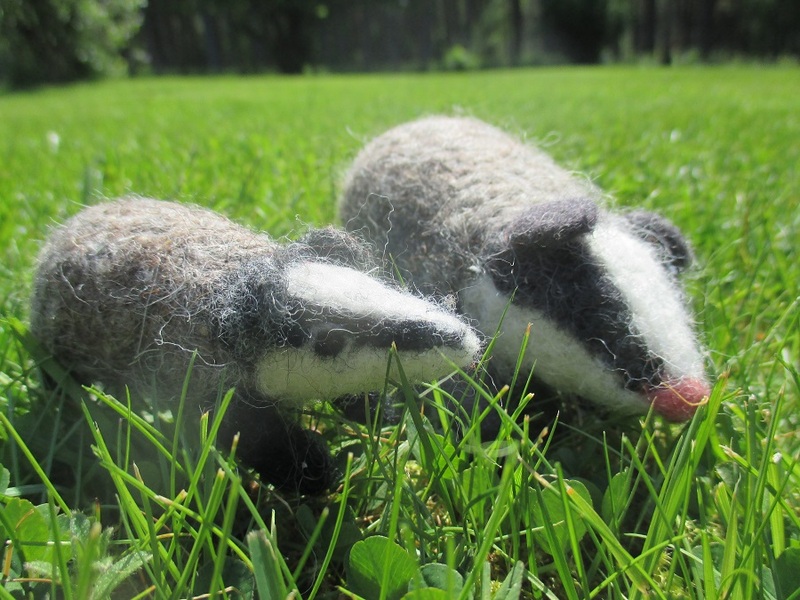 Needle felted, with Fi Oberon, Wild Rose Escapes craft courses. Venus figurines, the tree of life (and animals which go with it), however if anyone has there own ideas about what they would like to make nothing is off limits!